I know what you're thinking, theater in my classroom? Yeah right, my students don't even talk. Well, I beg you to think again! I've recently met Katie from 4th Wall Theatre Company, and, guys, she writes plays for people with disabilities for a living! What a cool job, right? I was so excited when she asked if she could talk about theater with you all on my blog. 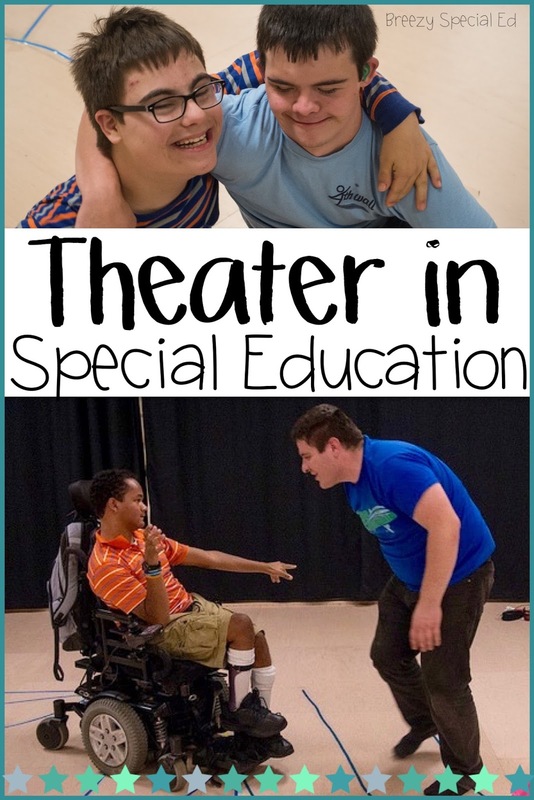 As a special education teacher, you might be thinking how on earth could you incorporate theater into your own classroom, why you would even want to, how hard would it be, and how you could do it. Well, keep reading! At 4th Wall Theatre, we teach that theater is made up of three elements: Singing, Acting, and Dancing. Every student is bound to have a favorite (just like the professionals! ), but all students are capable of participating in each of these elements. 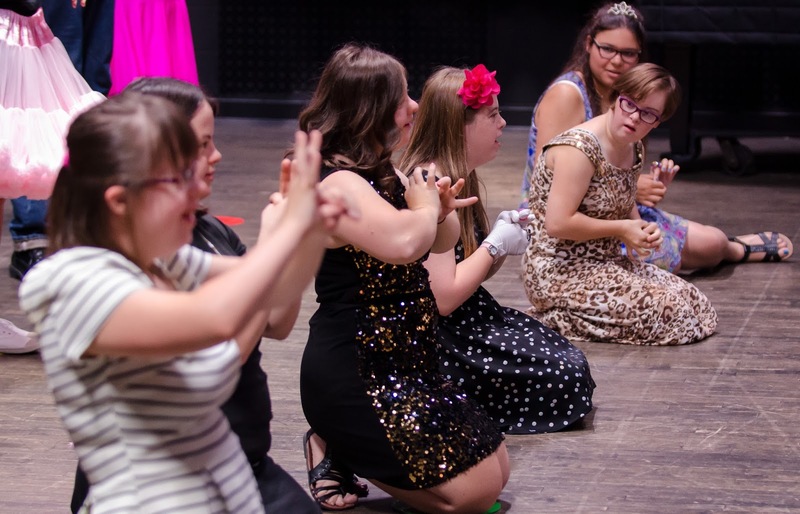 Within each “element of the theater” are opportunities for supporting all abilities. We’ve been at this for almost five years now, so we know the ups, downs, and challenges of bringing theater into any classroom. We also have about a thousand fantastically emotional stories of students who didn’t participate much at school, and then blossomed through involvement with the arts. So to help your road of theater incorporation easier, here are the five most common myths we’ve heard about bringing theater into the special education classroom. Oh goodness no! We hope this lovely readership, of all people, would understand the “able” hidden in “disability.” And yet, the question of how to include “non-verbal” students is one we get asked on a weekly basis. Acting is more than just saying lines; it can also include facial expression and movement. We’ve had “lines” said using American Sign Language (ASL), acted-out narration, tablet (connected to the sound system), holding up posters, or doing a gesture on que. Whatever modality your students use to communicate in their everyday life, they can communicate that way on stage as well! 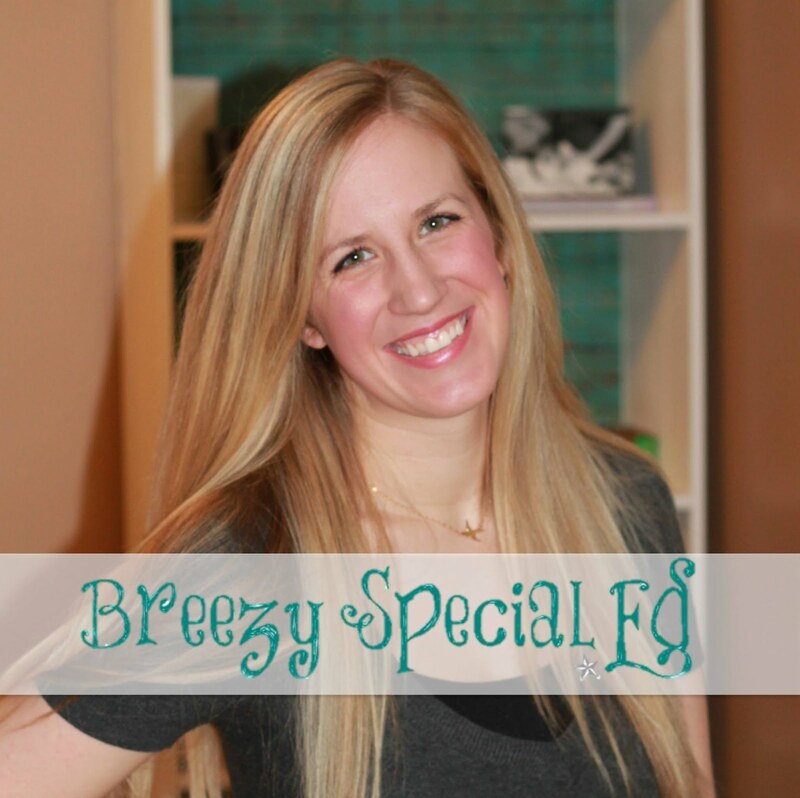 When it comes to singing, we use vocal singing paired with ASL to support all modalities. Students can choose to sing with their mouths, hands, or both. When we write plays for actors categorized as SXI, we encourage ASL usage with hand-over-hand supports. Myth 2) You can’t teach theater to people with limited mobility. Again, let’s focus on the abilities here! There are many ways for students with limited mobility to participate. We create our scripts to fit the abilities of any group of actors. This means that some characters may be stationary while others move around the stage. When teaching “dancing,” you can place the emphasis on feeling the rhythm, acting out an emotion, or isolating movements. Dance is great because it is a freeing art form...you can wiggle as much or as little as you like and still be dancing! Students with limited mobility can move with assistance when needed, dance with arms only, or try acting out facial expressions that go along with the music. Anyone with a love of the arts can bring the arts to others. Pick a favorite song and sing it with your students. Put some dance music on and boogie down. Play charades with your class. Ask students to show you what different emotions look like, or how various animals act. All of these things are theater! Acting is, essentially, just pretending. Therefore, if you can pretend, you can act! Students may need some guidance, but you certainly don’t have to be a trained Shakespearean to provide it. Myth 4) It takes a lot of time and planning to incorporate theater into the classroom. You may not realize it, but as a teacher, you’ve probably already mastered the art of improv! As an actor, improvisation means creating a scene on-the-spot. It requires flexibility, spontaneity, and the ability to think on your feet. As teachers, you are already required to do this every day! When it comes to creating an actual “play,” we’ve turned pretty much anything you can think of into theater. We’ve acted out folk tales, story books, songs, and poems. We’ve utilized Affinity Therapy to write our own scripts, asking students to pick their own characters and sometime even write their own lines. The possibilities are endless. Try reading a book and assigning characters to various groups of students. Or choosing an easy participation song to lead the group in. Whatever you choose to do, do it with gusto and have fun, and your students will go right along with you! Myth 5) The Arts, specifically theater, don’t really have a benefit. Be still our heart! This one hurts our eyes (or ears, if we’re hearing it). But we hear it again and again. For now, we’ll save our separate tangent about how fulfilling and necessary the arts are. Today, we’ll focus on two words: Life. Skills. The routine of practicing theater, specifically acting, enhances and allows practice of life skills. Think about a scene: two actors need to stand at a certain distance apart, look each other in the eyes, say their lines in a certain order, and speak loud enough for people to hear (if they are verbalizing). The amount of empathy and self-efficacy required for this procedure is incredibly beneficial. Not to mention internalizing the skills of: personal space, eye contact, listening, and articulation. You’ll see tremendous growth in your actors’ social skills and confidence from the beginning of the rehearsal process to the end. We promise. Annie Klark (that lovely flower in the picture) and Katie Mann (the cowgirl) founded 4th Wall Theatre Company, a Michigan mobile theater for people with special needs. 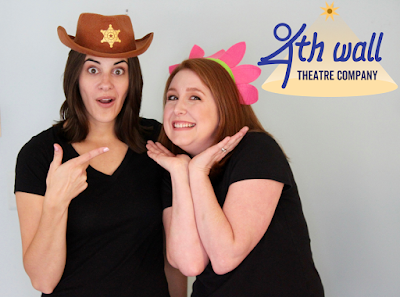 It became so popular they launched 4th Wall Backstage, an online resource site for sharing the love of theater and special education with everyone! The Flower is a professional performer and director while The Cowgirl has a masters in special education with a concentration in ASL. They would love to chat about either at info@4thwallkids.com. I completely agree with you. When I ran an after school drama club, I found it reached all students in meaningful ways. This is a great read! I am currently in college working on my special education degree and have taken a lot from this post. I could see how some of the myth's could be seen as true but then some of them I thought "wow of course not".